While the BlackBerry brand comeback of the past couple of years hasn't been quite as spectacular as Nokia's revival under the management of HMD Global, it's certainly nice to see phones with modern specifications and physical keyboards still out and about. 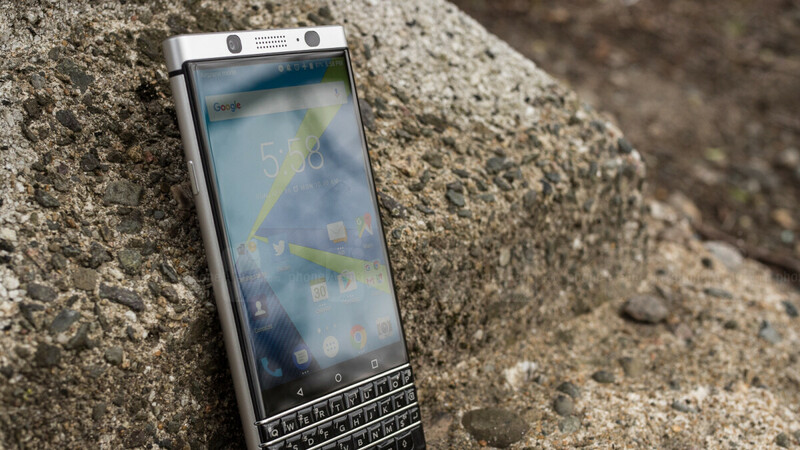 At least for the sake of diversity, the mobile industry needs devices like the TCL-made BlackBerry KEYone, KEY2, and KEY2 LE. The oldest of those three business-friendly typing machines is about to turn two, which probably means it won't be available for sale much longer. In fact, Best Buy recently ran a clearance sale on the 64GB BlackBerry KEYone variant, which doesn't appear to be up for grabs from that specific retailer anymore. Best Buy is also trying to clear out 32 gig inventory at the time of this writing, charging $339.99 for each remaining unlocked unit instead of a $400 list price. But that's not such a great deal, as proven by B&H Photo Video, which is currently asking 40 bucks less than that... for the higher-end configuration. That's right, you can get a brand-new BlackBerry KEYone with 64 gigs of internal storage space, 4 gigs of memory, and a limited 1-year B&H warranty at only $299.99, representing massive savings of 200 bucks compared to the handset's original unlocked price. Technically, the device on sale today is not designed specifically for US carriers, which means it's not compatible with the likes of Verizon or Sprint. But it should work on GSM networks including AT&T and T-Mobile without a hitch, fully supporting the two's LTE bands for high-speed connectivity on the move. Now, it's important to keep in mind that some of the KEYone's middling 2017 specifications haven't aged very well. Perhaps most notably, that Snapdragon 625 processor is decidedly unimpressive by mid-range 2019 standards. But the sensational battery life and unrivaled productivity of that conventional hardware keyboard are... as sensational and unrivaled as always. And yes, the KEY2 and KEY2 LE are too expensive for bargain hunters to take them into consideration right now. I liked the Priv move, this one is nice to. Still way too pricey. Come on Blackberry, this isn't 10 years ago. The fact that a one year old midrange device is being toute at an unrivaled price us kind of ridiculous.